Dedicated to achieve utmost client satisfaction since our inception in the year 2002. Our Firm engaged in offering Services for CD Replication/DVD Replication and Duplication, CD/DVD printing by Digital, Silk Screen, Offset printing process from Minimum to Maximum quantity & from Single Color to Multi-Color. Besides, we are also engaged in a wide range of associated products such as Business Card CD, Mini Disc CD/DVD, Inkjet Printable CD/DVD Blank Media. CD/DVD Packaging Cases. Quality and technology is our driving force which has enabled us to offer technically advanced products which are industrially beneficial to our customers. Our team of competent engineers and technicians provide solutions in line with the requirements of our clients. This empowers us to achieve immense market growth in the global market. Driving force of our organization is our workforce which comprises of experienced professionals who have an in depth industrial knowledge and provide us an excellent assistance to our clients. Meticulous efforts of these professionals have led us in standing as a reckoned solution providers in the concerned sphere. Our commitment to service - regardless of order size - is what sets us apart. Effective competencies in all aspect related to replication such as mastering, package printing and proofing, assembly, quality control and shipping has enabled us to gain an edge over our competitors. 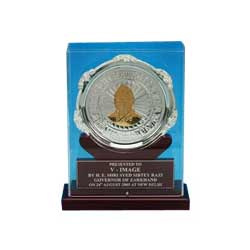 • Rajiv Gandhi Shiromani Award ’05, "For the Unique Concept of Self branded CDs"
• Screen Print India Award ’06 Secured first prize for excellence in UV Screen Printing Process on CDs. 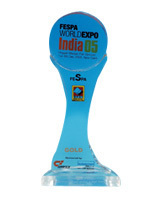 • FESPA World Expo Award '07 (Federation of European Screen Printers Association) Silver Mementos for excellence in Digital Printing Process on CDs. 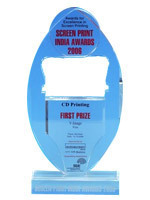 • Screen Print India Award'08 Secured second prize for excellence in UV Screen Printing Process on CDs. Helping Diagnostics centre improve branding . Protect your DVD from Piracy.